Recycling 1 ton of paper saves 17 mature trees, 7,000 gallons of water, 3 cubic yards of landfill space, and 2 barrels of oil. Every ton of paper recycled can save the energy equivalent of 165 gallons of gasoline. Those 17 trees can absorb a total of 250 pounds of carbon dioxide from the air each year. Burning that same ton of paper would create 15,000 pounds of carbon dioxide. The process of recycling paper instead of making it from new materials generates 74% less air pollution and uses 50% less water. Manufacturing recycled paper uses only 60% of the energy needed to make paper from new materials. The construction costs of a paper mill designed to use recycled paper is 50% to 80% less than the cost of a mill using new pulp. What about all those cans? Recycling steel and tin cans saves 74% of the energy used to make them from virgin materials. A used aluminum can is recycled and back in use as a new can in as little as 60 days. 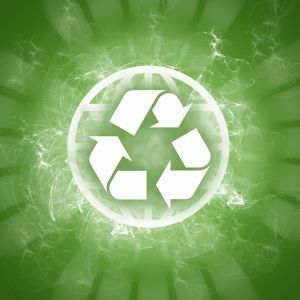 Used aluminum cans are the most recycled item in the U.S. Other types of aluminum, such as siding, gutters, car components, storm window frames and lawn furniture can also be recycled. There is no limit to the amount of times aluminum can be recycled. A steel mill using recycled scrap reduces water pollution, air pollution, and mining waste by about 70%. Recycling one aluminum can saves enough energy to run a TV for three hours or saves the equivalent of half a gallon of gasoline. Then there is all the plastic that gets recycled. What happens with that material? 86% of plastic bottles in the U.S. end up in a landfill or incinerator. That averages to around 60 million plastic bottles ending up in landfills and incinerators every day. All of that recycling generates a positive impact but you don’t have to stop with paper, plastic and metal. Junk King St. Petersburg can help you recycle all kinds of bigger objects like furniture, clothing and appliances. If they can drop those things off at a charity, then it still counts as recycling. If you want to expand your home recycling program, then count on Junk King St. Petersburg to get it done. This entry was posted in St. Pete Junk Recycling and tagged junk king, junk removal, recycling on November 30, 2017 by Junk King. Last updated December 4, 2017 .